Conveniently located between the world famous luxury yacht marina Puerto Banus, beautiful white mountain village Benahavis, known as a dining paradise of Costa del Sol, and the traditional Andalusian town of San Pedro de Alcantara, Los Arqueros property market offers a combination of picturesque sceneries, open spaces and astonishing views over the Mediterranean Sea. The average price for the Los Arqueros apartments for sale is about Average price per sqm. in Los Arqueros €2,636 -1% properties#: 76 last change on: 23 Apr 2019 €2,636 per square meter. It corresponds to the average price range in the surrounding areas. As in other locations, the properties with special views are more expensive. Prices for houses on Los Arqueros property market are higher than the region’s regular and move around Average price per sqm. in Los Arqueros €2,958 0% properties#: 28 last change on: 23 Apr 2019 €2,958 per square meter. Investment opportunities have an average price of Average price per sqm. in Los Arqueros €3,194 0% properties#: 8 last change on: 23 Apr 2019 €3,194 per square meter. Views of the Mediterranean and surrounding golf courses put a premium value on the price of properties here. The most active real estate agencies on Los Arqueros property market is Solvilla with nearly forty listings, followed by Crystal Shore Properties and Kristina Szekely (Sotheby’s) exceeding fifteen active listings in the area. This area was marked as one of the most tranquil and stunning neighborhoods in Marbella. However, there is also an increased building activity in the last years. With this, Los Arqueros attracts more and more international second home buyers. In a few minutes drive from Los Arqueros to the east, you will get to the glamorous city of Marbella. About the same distance to the west, you will arrive in Estepona municipality. Malaga and Gibraltar international airports are both about one hour drive away from here. Los Arqueros apartments, townhouses and spacious villas with sizeable terraces, gardens, and pools are spread around the vast fresh greenery of the eighteen-hole course of the Golf & Country Club. It was designed by the world’s top professional golf player Severiano Ballesteros. Besides wonderful views and challenging courses, the Club also offers other facilities. It has the gym, sauna, and children’s playground. It also provides its visitors with tennis, paddle tennis, and squash courts. In addition, there is also a driving range and a lounge available for the members. The restaurant located in the complex offers beautiful panoramic views of the Los Arqueros. From here, you will spot the scenery ranging from the gorgeous mountains on one side to the unbounded coast on the other side. The restaurant menu offers international cuisine with a great variety of dishes. The excellent service allowed the restaurant to get a leading position since it was first opened in 1991. Los Arqueros Golf & Country club is one of the most active establishments on Costal Del Sol. Parties and live music evenings organized here attract many people from the surrounding neighborhoods every night. Especially is notable the end of season celebration held in the Club. No wonder that Los Arqueros impressed a former Premiership footballer David Bentley, who acquired a property in the area. For all the passionate bikers, hikers and nature lovers the Sierra de Ronda mountain range offers challenging routes. Very popular off-road activity in here is buggy carting through the mountains. Here, you can also enjoy the stunning views of the pristine nature. The range is just a stone’s throw away from Los Arqueros. The neighboring Sierra Nevada mountain range provides possibilities to ski in the winter. Sandy beaches with turquoise water are in about a ten minute drive. All of them are perfect for enjoying the sweet rest under the warm Andalusian sun, which shines 320 days in a year. The beaches of Guadalmina and San Pedro del Alcantara offer water sports activities as well. Breathtaking coastal views go well with the sunrise and the sunset watching. 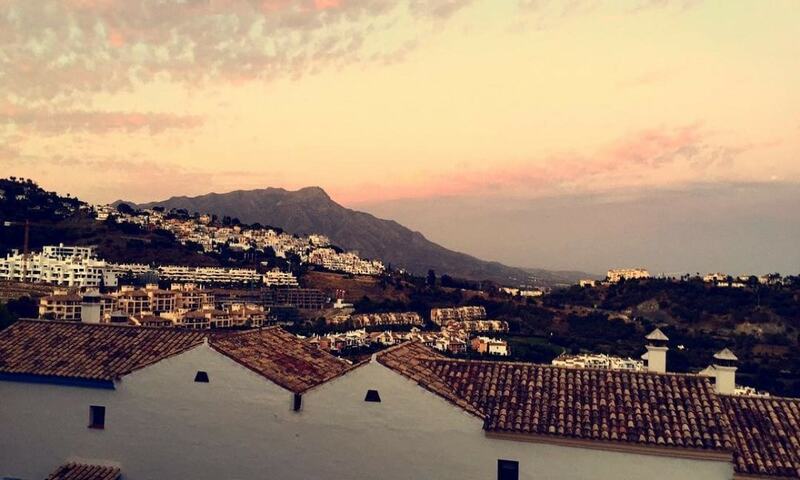 The latter is the best way to enjoy the warm summer evenings under the amazing Andalusian night sky. Gibraltar is accessible within an hour drive. And, a bit further to the west, you’ll discover the unspoiled beaches of Tarifa and Costa de la Luz. They are perfect for windsurfing. The urbanization of Los Arqueros Estates is perfectly located for those, who eager to explore the culture and history of the Andalusian region with its beautiful cities such as Sevilla, Ronda, Granada, Malaga, and Cordoba. In addition, you can discover the nearby small typical Moorish white villages. 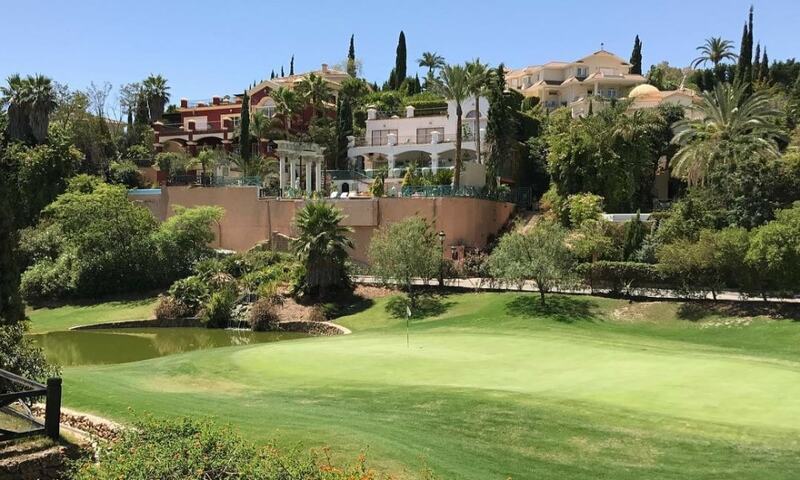 The residential part of Los Arqueros, around the Golf & Country Club, known as Capanes del Golf represents a private complex set on an area of 50,000 square metres. The complex mainly consists of 2-3 bedroom spacious luxury apartments. It allows its residents to enjoy the stunning landscapes. The private Spa-club will undoubtedly delight those, who are looking for relaxation. El Higueral Golf residential complex with a modern design offers elegant apartments and houses. Beautiful gardens, lakes and coastal views encircle the properties. The 9-hole golf field, set in this area, belongs to ones of the most picturesque courses in the whole Marbella. It was designed by Roderick Segar with the requirement to maximise the enjoyment of a player. When seeking for exclusive boutiques, extravagant lifestyle, and exceptional nightlife, you should definitely make a visit to the nearby Puerto Banus and let it engulf you. Both El Higueral and Capanes del Golf apartments and villas were built to ensure a memorable life experience for its residents. Therefore, it is an undoubtedly great choice for everyone who is looking to buy a second-home property on sunny Costa del Sol.